Learn More About Industry Applications for Acrosser Fanless Mini PC AES-HM76Z1FL! In this article, acrosser Technology would like to demonstrate 2 benefits of choosing AES-HM76Z1FL as an industrial PC solution. The following introduction and related product film reveal the unimaginable versatility of AES-HM76Z1FL. With a height of only 20 mm, this ultra-slim embedded computer is an ideal product for mobile use, and can easily handle tasks that require high computing performance; for example, artists, graphic designers, and filmmakers rely on AES-HM76Z1FL’s computing performance for postproduction when creating artwork. The mobility of this machine enables these artists to carry AES-HM76Z1FL from the studio to the job site with ease. Limited space for embedded PCs has always been a problem for our system integrators. With its ultra slim form factor (274 mm x 183 mm x 20 mm), AES-HM76Z1FL is truly a space-saving piece of hardware that fits almost anywhere, including meeting rooms, offices, classrooms, retail locations, and even at home for home automation. In addition, this model can be used as a digital signage device, providing 24/7 display, or as a smart classroom device, supporting interactive teaching or e-learning functions. 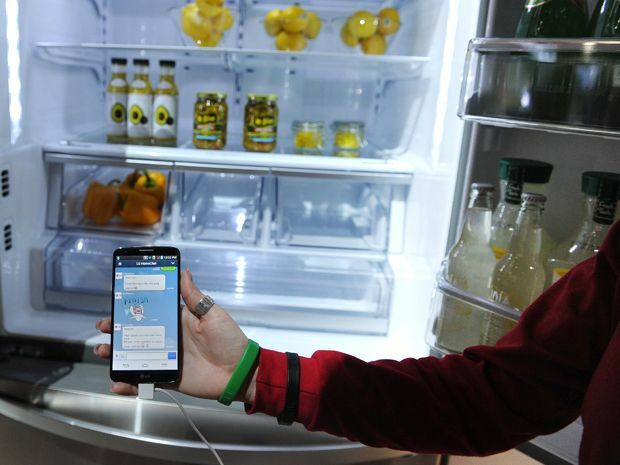 According to recent research, 70 percent of Americans plan to own, in the next five years, at least one smart appliance like an internet-connected refrigerator or thermostat. That’s a skyrocketing adoption rate considering the number of smart appliance owners in the United States today is just four percent.